London's Frankmusik made a splash on our Radar last year with his excellent debut album 'Complete Me', unfortunately it never got released in the U.S. so most people in the states probably don't know that much about him (with the exception of the kids who reach out for new music like we do). 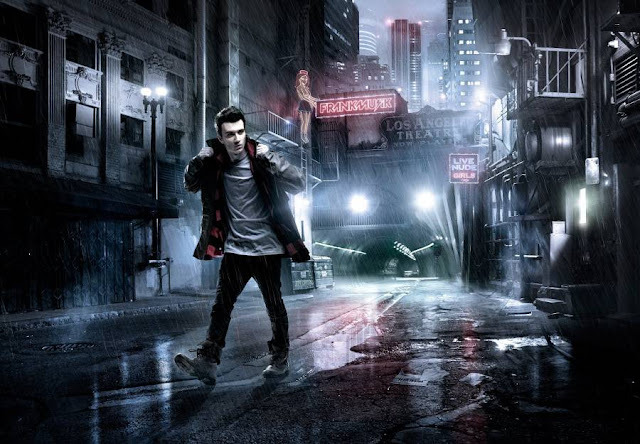 In 2011 Frankmusik is looking to change that by releasing sophmore album 'Do it in the AM' in the states via Cherry Tree Records. The first single being released from it is "The Fear Inside" this Tuesday, December 14th. It continues in his tradition of dancey electro-pop that I love from him, although in a slightly less sugary and more grown up pop kinda way. Diggin it! Here's the video for "The Fear Inside" filmed in L.A. with this lovely girl in it that reminds me of a young Monica Bellucci. Bellisima! Enjoy and have a great week-end!